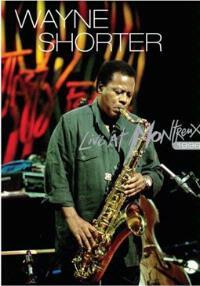 I find it interesting that this DVD captures a Montreux appearance for Wayne Shorter from 1996. The ironic part is that I’ve also reviewed a DVD of Weather Report (which included Shorter) from twenty years earlier – to the year. This DVD shows Shorter and his band making their way through a batch of Weather Report material, too. It’s a killer performance that shows off some incredible fusion music and a band of talented people producing it. This music is amazing. The video and sound quality are right up there, too. This performance by itself would make the set worth having, but the folks at Eagle Vision aren’t done yet. The final item on this set is a performance from 1992. In this one we get another performance of Quincy Jones. The music here is a tribute to Miles Davis, doing a couple Miles Davis pieces. Once more, the music is stellar. All of this goes to making this a great set and well worth possessing. It should be in every jazz fan’s collection. Note that I’ve included this DVD in progressive rock based on its fusion standing and the connections to Weather Report and Return to Forever.